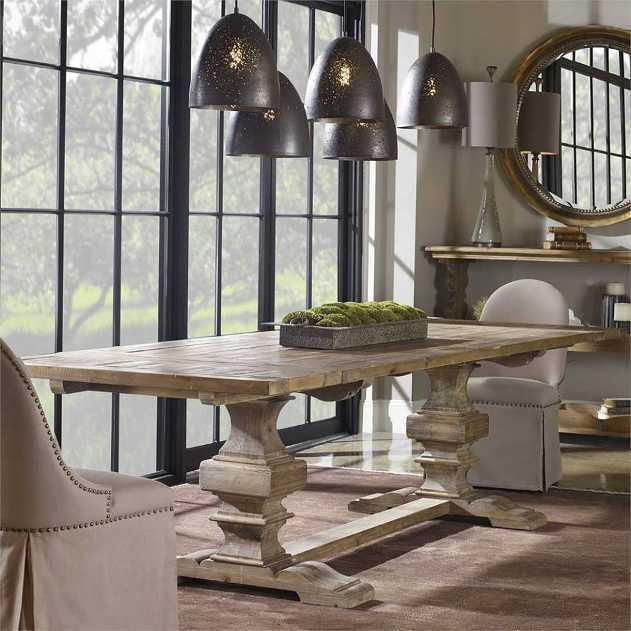 Made of 100% recycled pine, this grand farmhouse table features a slatted top finished with breadboard ends, atop carved balusters, distressed and rubbed with a warm honey stain. A subtle gray wash is applied to rest in the cracks and natural recesses. Includes two 18 inch leaves that can be removed to create a 96" table. $2250. Dimensions: 132”W X 30”H X 39”D.